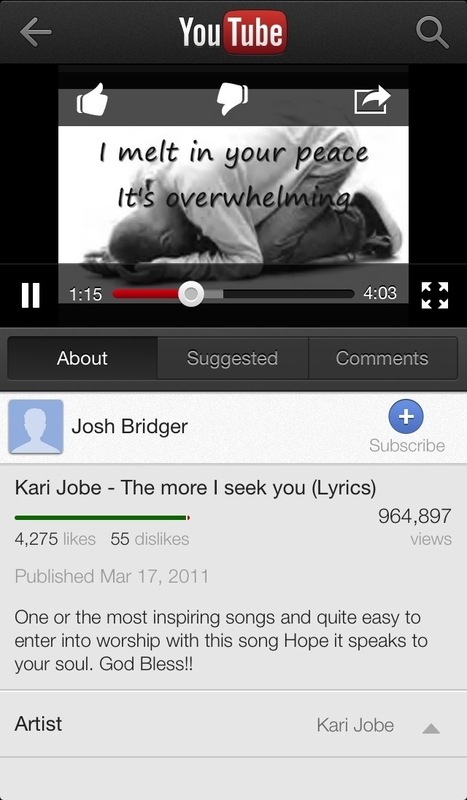 The more i seek you, the more i find you. Words can not express how much I love this song. It’s a song that you don’t need any instruments, it comes straight from the heart. I doesn’t matter whether you prefer gospel, christian rock, up tempo, whatever the intimacy is so real…it almost leaves you breathless. Ms. Kari, the Holy Spirit gave you that song girl!